A Devon children's author has signed a letter calling for a controversial reality TV show, featuring children as young as eight, to be taken off air. Michael Morpurgo was one of 36 child specialists who wrote to the Times newspaper claiming Boys and Girls Alone contained "child abuse and cruelty". 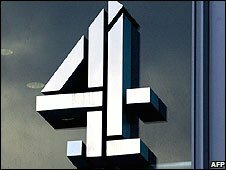 The Channel 4 programme features children crying and fighting after being left to their own devices. Channel 4 said the children's welfare was its "first priority". Other people who signed the letter include psychologists Oliver James and Penelope Leach, the president of the Centre for Child Mental Health Sir Richard Bowlby, and Dr Hilary Cass, a professor of child health. They accused Channel 4 of "plumbing new depths in broadcasting". The letter said the programme showed a "complete lack of empathy to the children taking part, a disturbing lack of understanding of how children develop psychologically, neurologically and socially and deliberate torment by adults of children in obvious distress". Set in cottages in Cornwall, Boys and Girls Alone, which is aired post-watershed, features 10 boys and 10 girls aged eight to 11 who are given the chance to experience life without their parents for two weeks. They live in two "villages" and, separated by gender, they decide how to organise and entertain themselves. The first episode showed the girls squabbling over sleeping and cooking arrangements and some of them feeling picked upon after splitting into factions. The Cornwall and Isles of Scilly Safeguarding Children Board, which is responsible for the welfare of children in the area, has written to Ofcom and Channel 4 calling for the remaining episodes to be pulled. The board has said it may seek a court injunction to prevent them being broadcast. And the Department for Children, Schools and Families is to look at legislation relating to child employment, dating back to 1933, to see whether it needs changing in the light of the row. Andrew Mackenzie, head of factual entertainment at Channel 4, said: "All the children were carefully chosen and screened by appropriately qualified experts, including a clinical psychologist, to make sure they could cope well with the experience of being in the series. "The response from the parents and children to the series has been a very positive one."